Nexplanon is a brand of implant birth control, meaning it's inserted into your arm. It's a quick, simple procedure that can be done by your primary care provider or gynecologist, depending on whether or not they're trained to do so. Once the Nexplanon implant is inserted, you're protected from pregnancy for up to 3-4 years. After the 3-4 years, your doctor removes the insert by cutting a small slit in your arm and pulling it out. 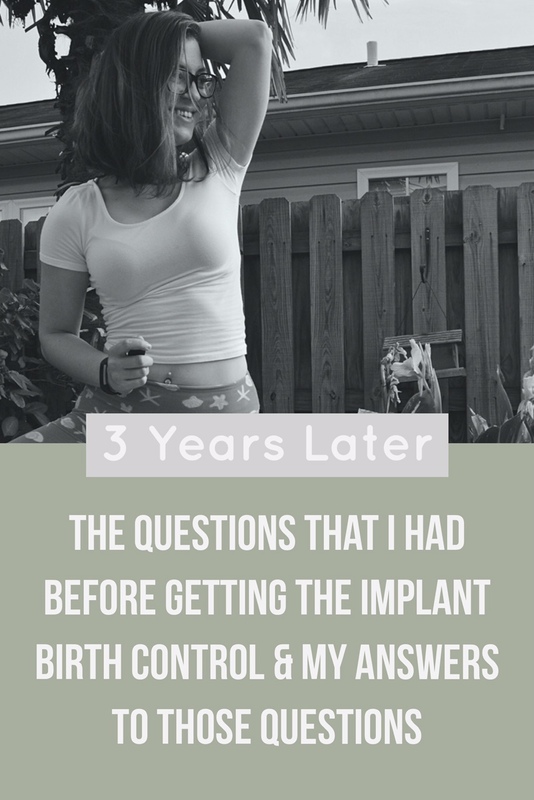 I had a lot of questions about the implant birth control and thought other women might as well. I recently had my first implant removed and my second inserted, so I feel that I can offer some information from the beginning to the end. Yes and no. I experienced no pain when the implant was inserted the first time. When it was removed, I experienced quite a bit of discomfort and pain. If I'm being honest, I strongly considered not getting it reinserted because I couldn't stand the idea of going through the process again. Don't let that scare you off, though. Even though it was uncomfortable and a bit painful, there were no complications, the entire procedure still only took a few minutes, and my removal was apparently pretty unusual. My doctor said it's usually a pretty quick and relatively painless procedure. what side effects did you have? I didn't notice too many side effects from this birth control. I've seen many women talk about weight gain, depressed mood, and migraines, though. I've also heard that some women had their period pretty often and for abnormally long periods of time. Spotting is also pretty common. And then the total opposite - having no period - is also common. All of this to say that reactions can be so different for everyone who uses this birth control. didn't it freak you out? A little bit. It's kind of weird to feel that little piece of plastic in your arm. The actual insertion and removal didn't bother me. The consultation, however, made me pass out. The thought was definitely worse than the actual procedure. It doesn't bother me now, though. Plus, this was the best long-term option for me. I can't mentally deal with the IUD. what are the benefits? disadvantages? The effectiveness, the longevity, and the easiness. Nexplanon is over 99% effective, which means that out of 100 women, less than 1 may become pregnant. This makes it one of the most effective birth control methods on the market! It also lasts for 3-4 years and you don't have to do anything after it's inserted. Isn't it crazy that your body just knows what to do with the hormones?! That means you don't have to worry about missing your pill. Of course, it isn't entirely perfect. A lot of women have the implant removed early because they experience such bad periods. And of course, we all know that the only form of birth control that is 100% effective against pregnancy and STI's is abstinence. I just feel like that has to be said in any conversation about birth control. I would also say that the removal process is a pretty big disadvantage, too. I've been asked this a couple times and I have to preface my response with this: your birth control is your personal choice and you should consult your doctor if you have any questions or concerns. I would say that Nexplanon is a good option for someone who is sexually active, does not plan on having children for a couple years and does not want to worry about forgetting or carrying around their birth control. Birth control isn't for everyone and I understand that. 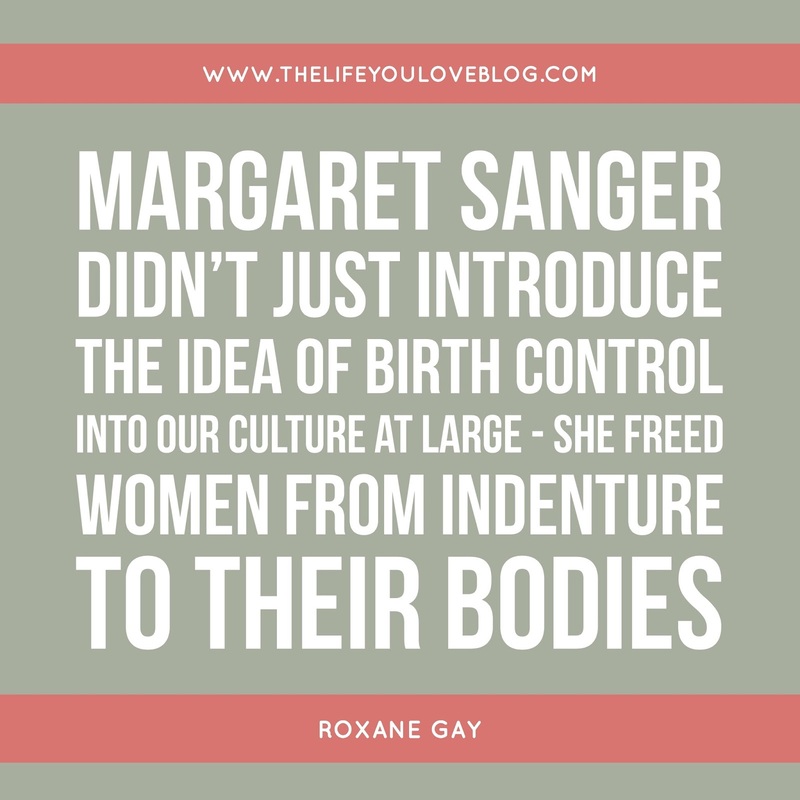 I also understand that it can be a scary topic and one that women aren't always exposed to, so I want to help you see the face of women who use birth control. I'm attending graduate school for my Master's of Social Work, I'm working at a mental health office, and I'm interning at an intensive mental health clinic. I want kids, but not right now. That doesn't make me any better or worse than any other woman. It just means that I'm on a different path. If you have any questions about my experience, feel free to ask either via comment or email at thelifeyouloveblog@gmail.com. Again, I'm not a medical doctor and I cannot provide any medical advice. I can only share my story! At the end of the day, birth control is your choice. If you want more information but you aren't ready to talk to your doctor, Planned Parenthood and Bedsider are two helpful websites for learning more information about birth control, sexual health, and women's health. If you feel comfortable, I would love it if you shared this pin on your Pinterest account so other women can find out more about the implant birth control from someone who has used it (twice! ).